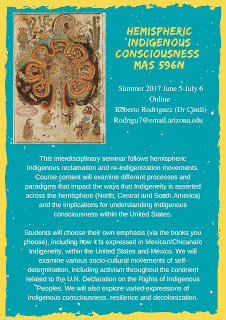 HEMISPHERIC INDIGENOUS CONSCIOUSNESS SUMMER CLASS: University of Arizona graduate students can enroll themselves in the class. For everyone else, anyone in the country can take classes at the UA so as long as you apply to become a non-degree seeking student. You would need to apply for that (quick application), then once accepted you can enroll in classes. 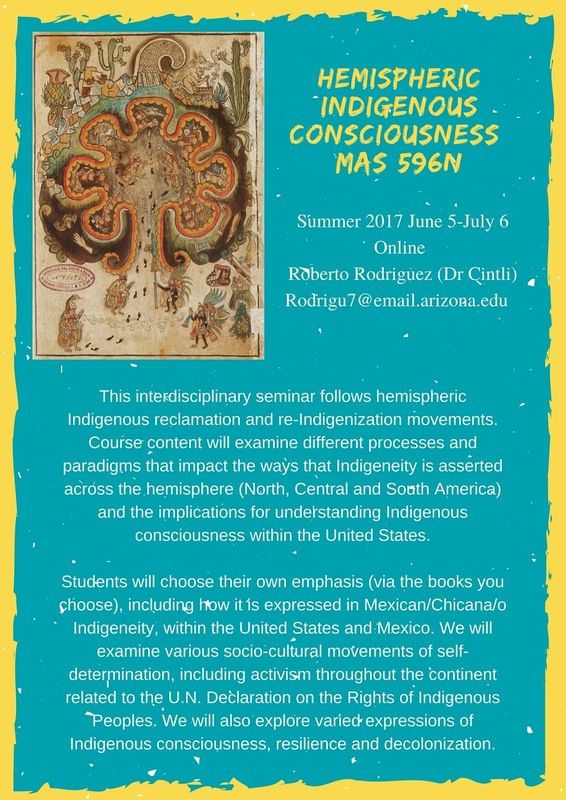 For more info, please contact Indira Arce at UA-Mexican American Studies: iarce@email.arizona.edu or (520) 626-8103 Please share/post, forward, etc. to any prospective graduate student who may be interested.